Welcome to the Women's Heart Foundation e-Newsletter, a resource in the emerging field of gender-specific health and medicine with programs and research that support wellness, awareness and early intervention of heart disease as it affects women. AHA Releases Updated Guidelines. Advise focusing on women's lifetime heart risk. Update gives definitive answers on HRT, aspirin, supplements more. NIH: Heart Disease Death in American Women Declined from 2003-2004 with 17,000 Fewer Deaths Experts attribute this to improved technology and greater awareness. Additionally, there has been significant progress made in increasing awareness among women that heart disease is their leading killer, up from 34 percent in 2000 to 55 percent in 2005. more. Study: Genetic Link for Women and Heart Disease. Early heart disease linked to women with asthma and further substantiates the link with the inflammation theory. "This is the first direct evidence that a gene known to be linked to asthma is also tied to adult heart disease," said Edward Lammer, M.D., Geneticist at Children's Hospital Oakland Research Institute. "Our work is significant because we made allowances for other risk factors such as smoking, cholesterol and blood pressure levels. Consequently, we believe that the risk is genetic and not significantly influenced by a person's environment," said Dr. Lammer. more. WHF, Monmouth University School of Nursing and the Monmouth Medical Center unite for a gender care program for nurses Feb 13. 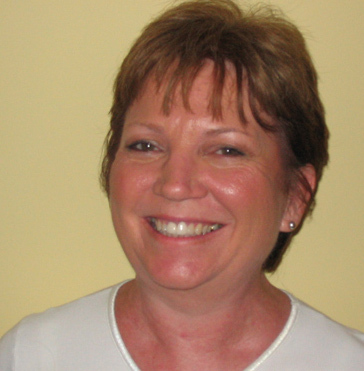 A limited number of scholarships will be made available to nursing students through WHF. Download brochure. 4th Annual RUN FOR YOUR HEART at Mercer County Park. Stay tuned for details. Click on the Capitol dome to find your legislator and make your voice heard. You can add your name as a cosponsor, by contacting its sponsors: Senator Debbie Stabenow (staff contact Lisa Layman, 202-224-4822), Senator Lisa Murkowski (Meredith Sumpter, 202-224-6665), Representative Lois Capps (Amy Fisher, 202-225-3601), or Representative Barbara Cubin (Landon Stropko, 202-225-2311). It was thrilling to see 300 women at the second annual WEAR RED NEW JERSEY Day Women's Heart Luncheon. The event is used to celebrate women of all ages, especially those who have been successful at making healthy lifestyle changes. It takes place the first Saturday in February and is replicated by other states across the country. We are grateful to our New Jersey sponsors for making this event possible, including Lord and Taylor, R-Ving Women, Capital Health System and the Delta Sigma Theta Sorority. In-kind support came from the NJ Department of Health and Senior Services and the Office on Women's Health, WHF assists states in reaching out to women during Women's Heart Week by providing collateral materials such as WEAR RED flyers, banners and signs, and Take Care of Your Heart brochures and Women's Health Tracker cards. We were rewarded to learn of 17,000 fewer heart disease deaths in American women from 2003-2004. This is in no small part due to the advocacy and awareness efforts of WHF and other groups to effect the improved care and treatment of women. As doctors learn more about gender-specific medicine and the appropriate use of technology in treating women's heart disease, we hope to see even more gains in 2008. WEAR RED for WOMEN! 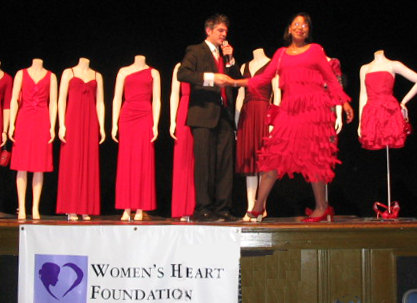 Work with the WHF to organize a Women's Heart Luncheon in your state and help deliver the life-saving message that heart disease is women's #1 killer and... Take Care of Your Heart.